Great Events has been providing the Keys with excellent service since 1989. Since that time we have become the regionâ€™s most experienced, most reputable and most sought after caterers. The companyâ€™s team of professional, courteous staff dedicate themselves to making your event unique, enjoyable and inspiring for your guests. We are a full-service caterer comfortable with a wide variety of events â€“ from intimate dinners to large events. So whether youâ€™re having 5 or 5,000 for dinner, let us work with you to craft the occasion to perfection. 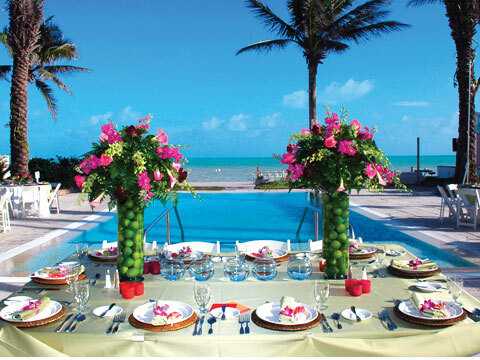 Great Events caters at several locations thorough the Florida Keys. The most popular locations include: Audubon House and Gardens Harry Trumanâ€™s Little White House Hemingway House & Museum The Oldest House & Gardens Southernmost Mansion Heritage House & Museum East Martello Tower & Museum Key West Customs House Lighthouse Museum and Garden Tennessee Williams Theater Liberty Tall Sailing Ships Fury Catamerans Discovery Glass Bottom Boats Casa Morada Resort (Islamorada) Marinerâ€™s Club (Key Largo) With the tropical beauty of the Florida Keys, breathtaking sunsets and relaxed welcomed feelings, the creation of a party or event is simply natural.